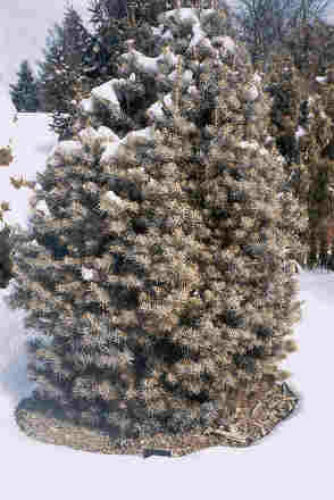 Abies concolor 'Glauca Compacta' is a superfluous name for Abies concolor 'Compacta.' Murray Hornibrook changed the name in 1939. Nonetheless, both cultivar names are seen to this day in the nursery trade. Be aware that they are one in the same. Abies concolor 'Glauca Compacta' This photo was taken in the Heartland Collection of Dwarf and Rare Conifers at the Bickelhaupt Arboretum, Clinton, IA on 2/3/03. This plant was 12 years of age on that date.